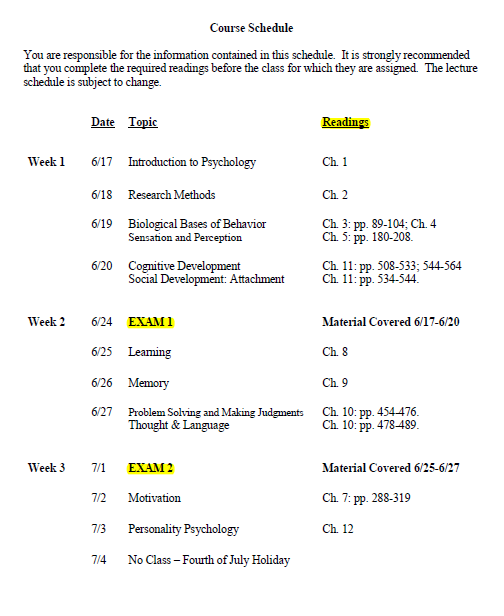 Using the syllabus is the first step to getting an A in the class (yes, boring I know). The professor is telling you exactly what TO DO. 2. 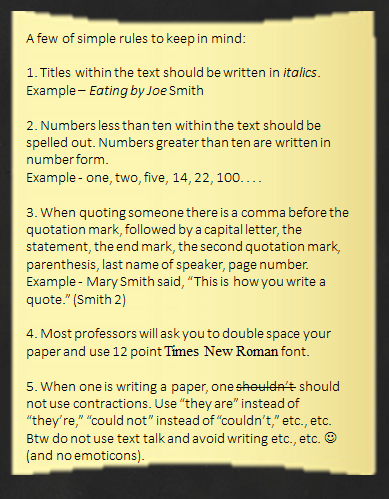 Staple it to your notebook, so you always have access to it (you really need to do this). 3. READ IT . . . . over and over! 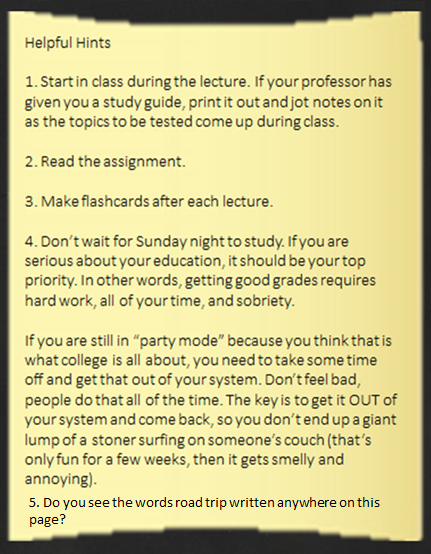 The syllabus is the professor’s way of showing you what to do; it’s a map for success. She is saying, “Hey, this is all you have to do to get an A in this class.” She is also saying, “Hey, this is all you have to NOT do to get an F in this class.” She is a busy woman, she understands, she went to college, but she has a life , . . . . she has her own dirty dishes and piles of laundry to deal with, she is telling you what to do. 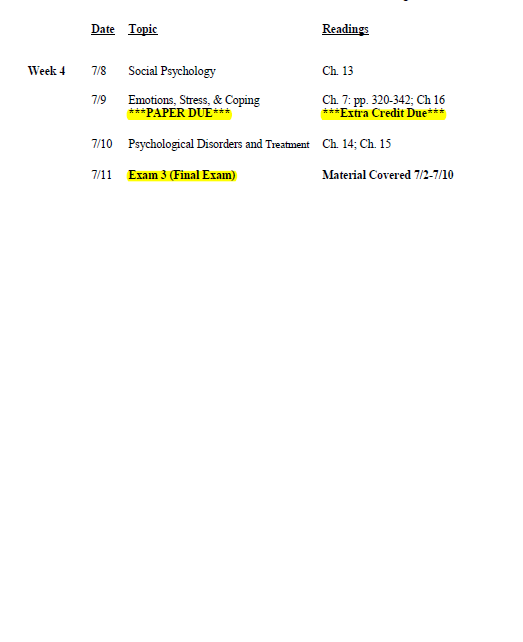 I have highlighted some of the key things one should look for on the syllabus below. 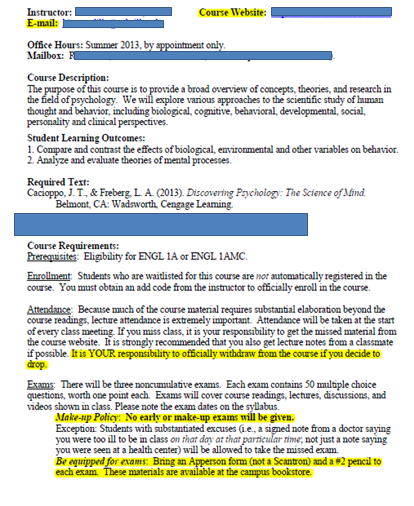 Notice how the professor underlines, capitalizes, and uses bold print for what is important for her students to do and WHEN they should do it. Following directions is the KEY TO SUCCESS. 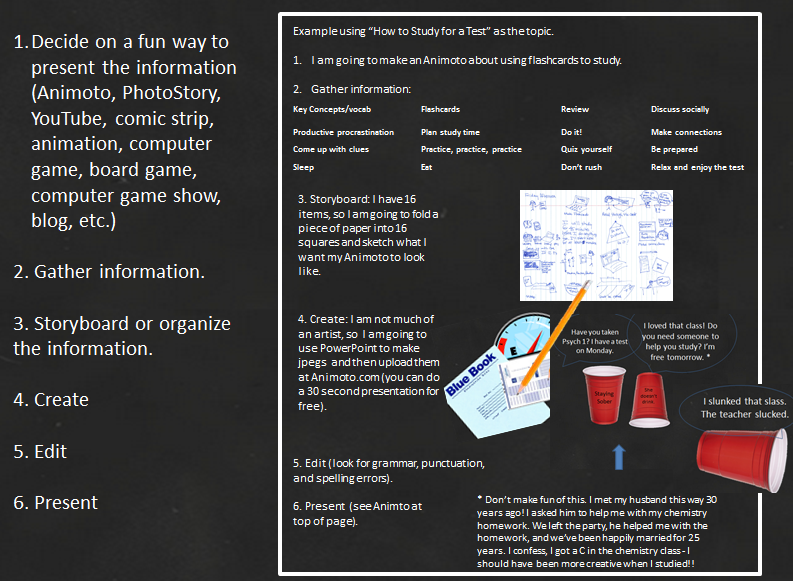 Writing a good college paper is EASY, . . . IF you give yourself plenty of time to write it. Some college students can write a paper the morning it is due, and those same students MIGHT even get good grades on their papers. However, the name of this site is How to Stop Flunking Your College Classes, so I am guessing you are NOT one of those people. 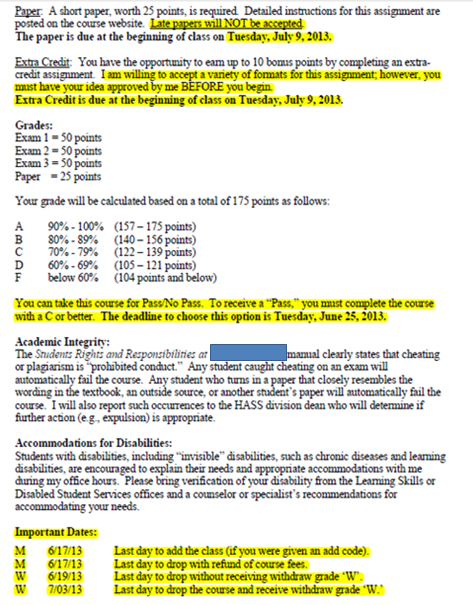 According to our syllabus, a paper is due on July 9. Today is June 27, so that gives you plenty of time to write an A+ paper as long as you start today. Please do it (don’t wait five more minutes)! 1. Make sure your printer has ink and paper (I am serious, do it, NOW). 2. 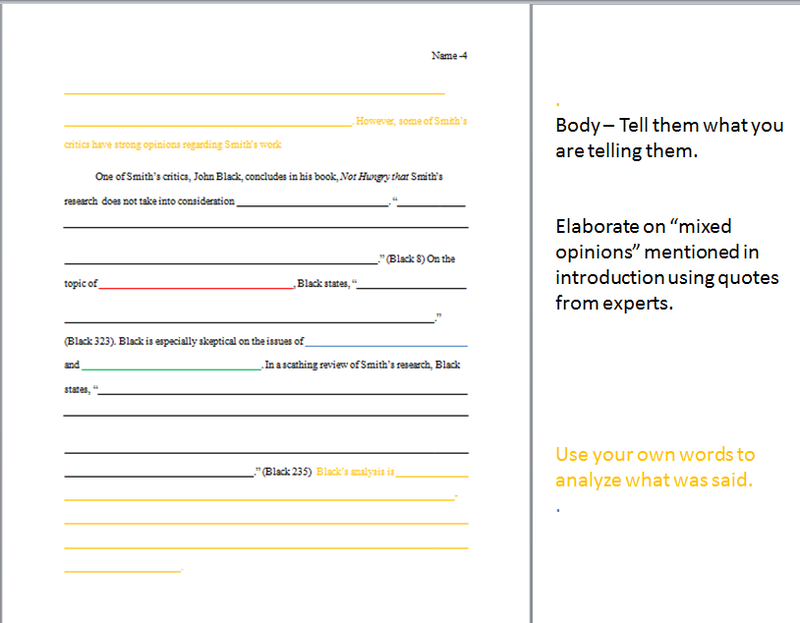 Follow the professor’s directions (read the assigned reading, use the writing format she requires, etc.). 3. 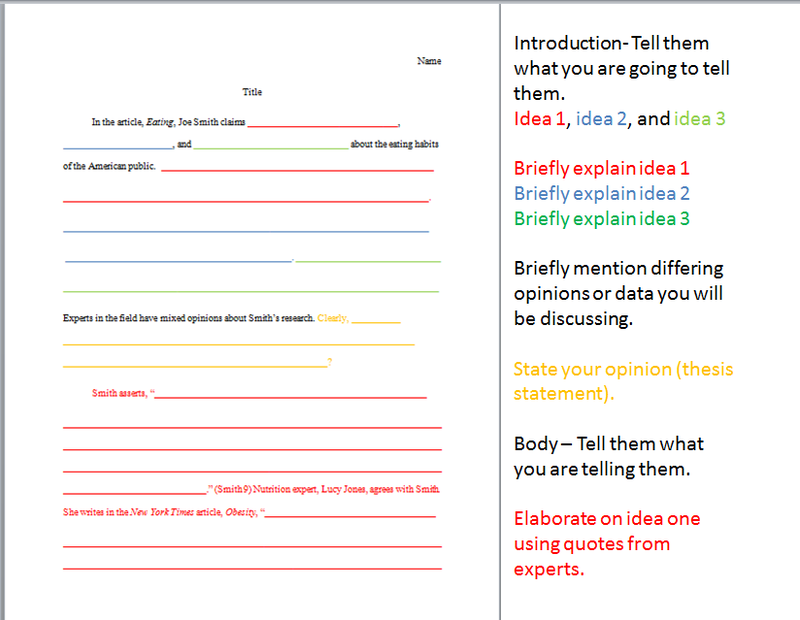 Form your opinion (thesis) and gather information to support it (quotes from experts). 5. Have someone read your paper and circle the mistakes. Note: Someone who understands grammar and punctuation rules is best for this task. 9. Turn the paper in. Assignment: Read Eating by Joe Smith. Write a five page paper analyzing the article. State your opinion (do not use “I” use “one”). One’s opinion in one’s introduction is one’s thesis statement. 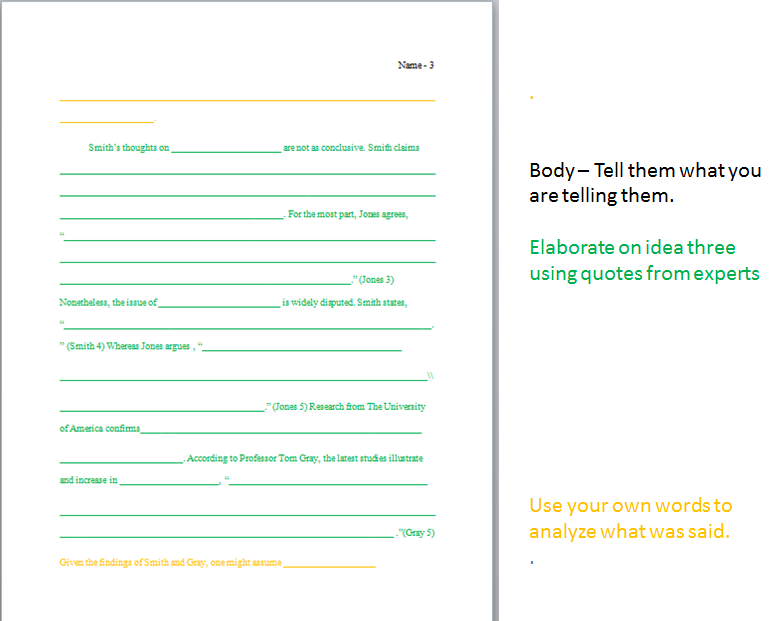 Use quotes from articles to elaborate on each idea. Refer to studies that may or may not support the key ideas. 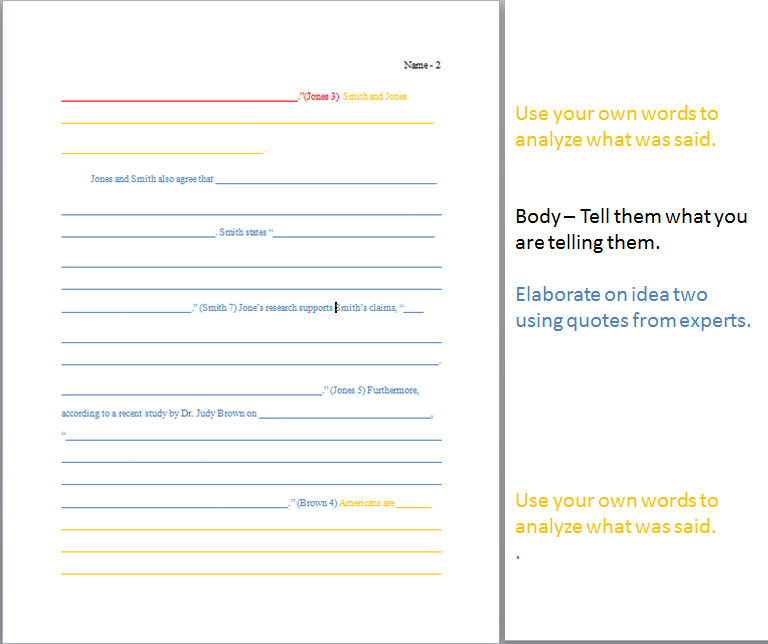 Analyze what experts and studies say using your own words. 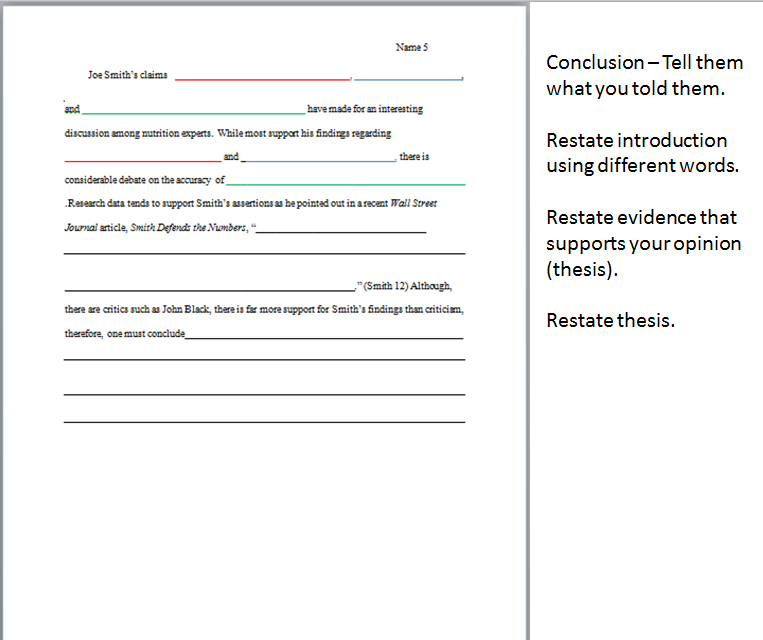 Restate introduction and thesis using different words. Remember to cite your sources and include them in a bibliography at the end of your paper. Professors will tell you how they want you to cite your sources and which style of bibliography they prefer. If they do not, the Son of Citation Machine is a great resource. Just plug your information in and they will format your bibliography for you.